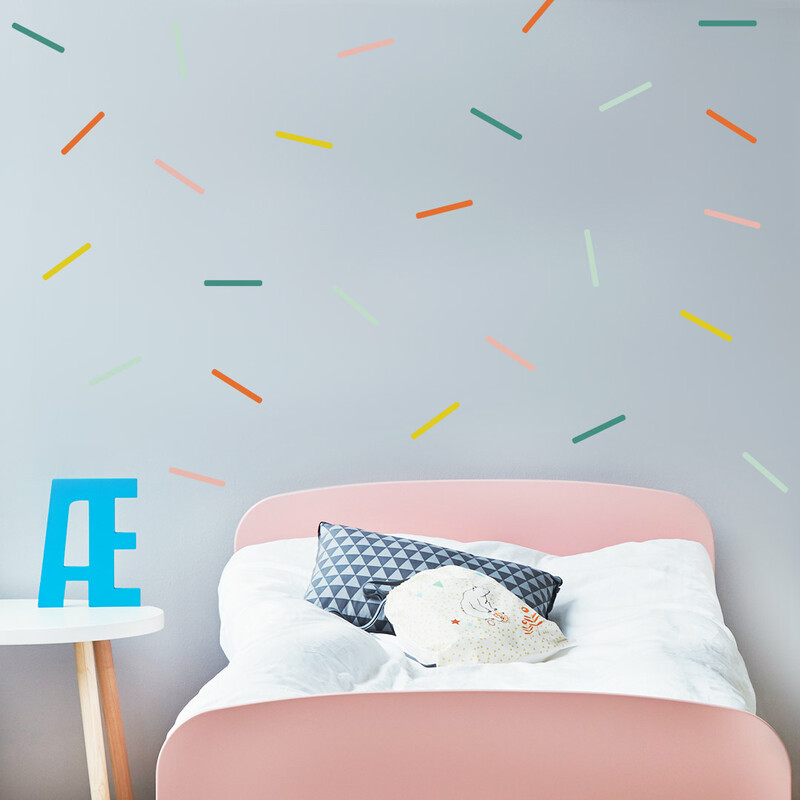 The set of funky Sprinkles Wall Decals provides an ideal instant decor upgrade for your little one’s room or nursery wall. 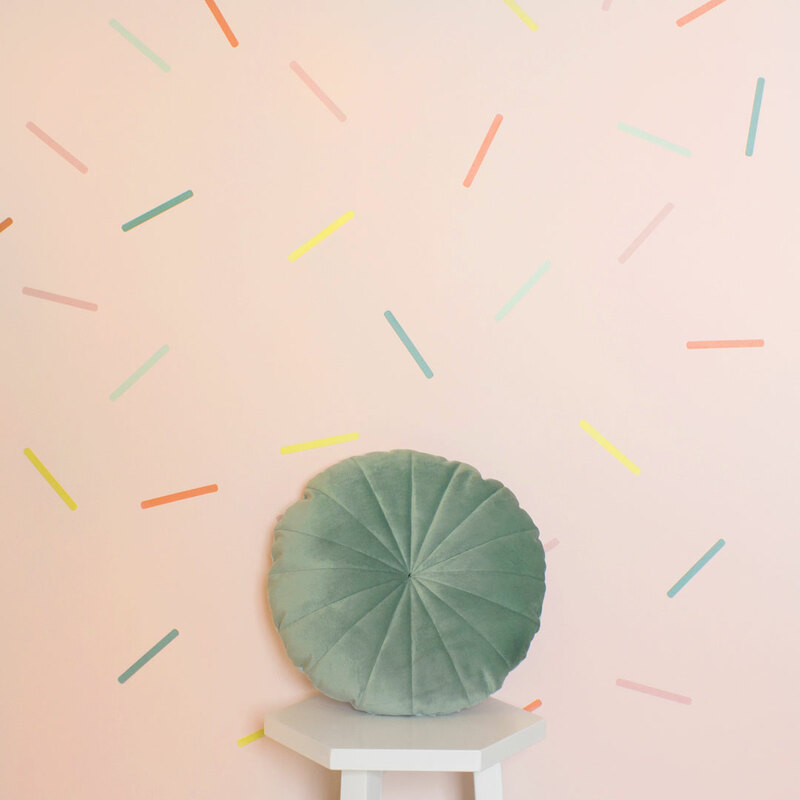 The sprinkles will work with any decor scheme, adding an element of fun to your wall space. The individual sprinkles are coloured Dusty Pink, Teal, Mustard, Orange and Light Blue. 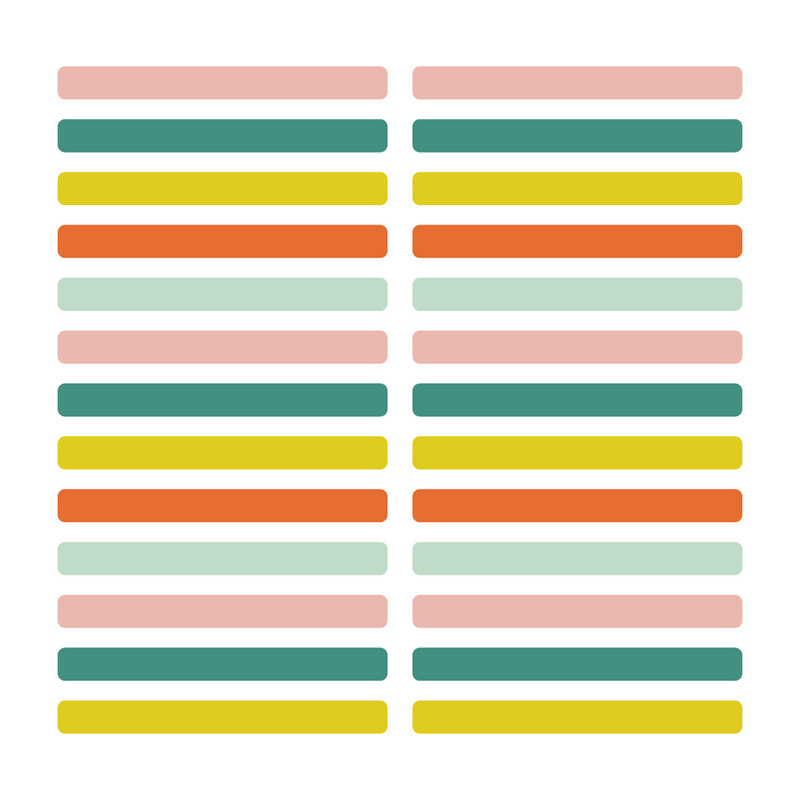 Simply cut them apart and apply them using our easy guide to lay them out on your walls in a geometric evenly spaced pattern. Or simply stick them on the wall randomly for a fun look.